Only accepting applications for 2019-2020 school year. Children are the future, and without great minds, we cannot expect great things. Private education is more than just an alternative to public school, it is a specialized learning environment where children can grow and thrive, in their own special way. Donate today and receive a dollar-for-dollar tax credit on your Arizona taxes. Be the reason a child becomes inspired. Arizona Tax Credit, an Arizona School Tuition Organization, was dreamed up by founders, Robyn Brown and Janet Oitzman, who carry years of experience working with other local STOs and non-profits. Developed under the guidelines provided in the Arizona Private School Tuition Tax Credit Law of 1997, Arizona Tax Credit partners with donors to provide millions in tuition scholarship assistance for thousands of students in grades K-12 attending private schools throughout the state. Along with helping children achieve their best, charitable individuals, families, and corporations will also receive a dollar-for-dollar tax credit for their state income tax from donations. Arizona taxpayers are also allowed to re-direct the state income taxes that they owe into scholarships. Arizona Tax Credit is a qualified School Tuition Organization (STO) pursuant to the Arizona Private School Tuition Tax Credit Law (A.R.S. 43-1089). Donations to Arizona Tax Credit qualify for a dollar-for-dollar credit on your Arizona state income taxes up to annual limits allowed by law or the actual tax liability, whichever is less. Arizona Tax Credit allocates 90% or more of all tax credit donation revenue toward student scholarships. Scholarships are awarded without regard to the student’s race, color, handicap, familial status or national origin. The final decision to award any scholarship is subject to the absolute discretion of Arizona Tax Credit. Arizona Tax Credit is a tax exempt organization pursuant to federal law, Section 501 (c) (3) Federal I.D. number 46-1517816. Janet is married to Jeff, her husband and partner of 25 years. They have two beautiful daughters, Ashley and Paige. In 2001, Janet became actively involved in private education when her two daughters began attending. 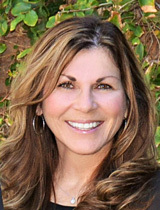 Janet volunteered and later coached women’s basketball at a private school from 2001 – 2011. 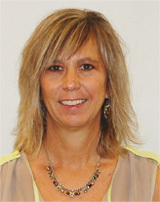 She was the Athletic Director from 2009 – 2015 where she earned her credentials of Certified Athletic Administrator (CAA). Janet holds her bachelor’s degree in business management with a minor in accounting. Janet was able to put both her daughters through private education with the help of Arizona’s Individual Tax Credit program. Her passion for serving families within private education while making a difference in a student’s life, has inspired her to partner in Arizona Tax Credit. Her desire and focus is to educate others on the benefits of this amazing program. Robyn is no stranger to the non-profit world. With 15 years of experience working for one of the original school tuition organizations, two private schools, and a mission organization, she knows the benefit state tax credits can bring. Robyn herself was able to send her two children, Ashley and Cody, to private school because of the Arizona tax credit law. Robyn also made her mark in the for-profit sector from her 18 years of corporate management experience in the finance and mortgage industry. Besides helping families in her community with education choices, she also enjoys spending time with her husband Alan, traveling the world, and empowering young women.